The prediction of future financial price movements and evaluating the past price movements is known as technical analysis. For instance, weather forecasting. In weather forecasting technical analysis do not result in defined predictions about the future. Technical analysis helps the investors in foreseeing what is likely to happen to prices over time. Varieties of charts are used that show prices over time. Technical analysis can be used in forex, stocks, indices, fungible marketable items, futures or any trade worthy instrument where the prices are impacted by the strength of supply and demand. Prices are related to the combination of the open, high, low or close for a given security over a defined time frame. The time frame varies. It can be based on a intraday (1 minute, 5 minutes, 10 minutes, 15 minutes, 30 minutes or hourly), daily, weekly, or monthly price data even the last few hours or many years. Some technical analysts involve volume or open interest figures with their knowledge of price action. This theorem is related to the strong and partially strong types of market efficiency. All information is reflected by the current price according to the technical analysts. Since all the information is shown in price it indicates the correct value and should be able to conduct the basis of analysis. Market price is basically the collective knowledge of all participants, traders, investors, portfolio managers, buy-side analysts, sell-side analysts, market strategist, technical analysts and fundamental analysts included. It would be considered a foolish act to challenge the price set by such diverse people with unblemished achievements. The main purpose of technical analysis is to use the information deduced by the price to examine what the market is telling with the idea of forming a perspective of the future. One way of viewing it is that markets may witness extended periods of random fluctuation, interspersed with shorter periods of non random behaviour. The goal of the chartist is to identify those periods (i.e. major trends). Technical analysis can be implied on various time frames, it is acceptable to spot both short-term and long-term trends. A quality of good technician is that they believe it is possible to spot a trend, invest or trade based on the trend and make money as the trend unfurl. The GBP/USD chart shown above, explicate Schwager’s view on the trend’s nature. In the graph we can see that the broad trend is down but is dispersed with trading ranges. The smaller uptrends within the larger downtrend are in between the trading ranges. The downtrend is resumed when GBP/USD is broken below the trading range. When GBP/USD breaks from below of the former trending range a downtrend begins. What is the current price? What is the history of the price movement? Between the war of forces of supply and demand for the company’s stock the price is the final result. The main purpose of analysis is to predict the course of the future price. A direct approach is formed by technical analysis by simply focusing on price only. The only question fundamentalists are concerned with why the price is what it is? The why part of the equation is basically too comprehensive for technicians and many times the reasons given are full of doubts. Technicians only look at what and ignore the why. Why did the price rise? Obviously the number of buyers was more as compared to the sellers that means more demand than supply. Who acknowledges why? When the value of any good is only what someone is willing to pay for it? To differentiate between the strongest and weakest stocks within select groups by using individual stock analysis. Having wide variety of skills is the beauty of technical analysis. Using the same theoretical background each of the above mentioned steps can be performed since all theories of technical analysis can be applied universally. For analysing market index chart and a stock chart you do not need a degree in economics and a CPA. One should not care about the time frame; charts are charts whether they are two days old or 2 years old. One should not care about the stock, market index and commodity because they do not matter as such. We can apply theories of support and resistance; trend, trading range and other aspects to a chart. This all might extremely easy but in reality technical analysis is not easy. Success is only based on hard work, determination and a broad mind. IN CHART ANALYSIS, you can make technical analysis as diverse as you want. Below is the graph of a simplified version. For buying stocks, our main focus should be considering positive situations. Resistance: the resistance level is marked by the areas of blockage and previous highs above. A break above the resistance is taken positively. RSI: an oscillator like MACD is used to measure the momentum. The RSI is considered assertive if it is above the 50 S/R line or is forming a positive divergence. BUYING/SELLING PRESSURE: An indicator that uses volume is used to evaluate buying or selling pressure if the stocks and indices with volume figure are available. EMA- Exponential Moving Average– another very useful tool used to show the direction of the trend. A very common trading approach to using EMA is as a combination of two or more and looking for positive/negative crossover for a positive/negative trading signal. AN INVESTOR would analyse long-term and short-term charts for each sector (market, sector and stock) to observe those that meet the required criteria. Markets are considered by analysis first, perhaps the S&P 500/DAX. If the broader market is taken in an optimistic mode, analysis would move to the sorting of sector charts. Sectors that show the most promise would be marked out for individual stock analysis. Individual stock selection begins when the sector list is narrowed down to 3-4 industry groups. After selecting 10-20 stock charts from each industry, a selection of 3-4 of the most determined sticks in each group can be made. The final cut made by the stocks and industry is based on the severity of the criteria. Under such cases we will be left with 9-12 stocks to choose from. To find the strongest of the strong the stocks are further broken down to 3-4 stocks. If the purpose is to forecast the future price, then one should focus on price movements. Price movements normally initiate fundamental developments. The technicians are automatically focusing on the future if they pay attention to price action. The market generally leads the economy by 6-9 months and is taken as a leading indicator. To keep up with the market one should look at the price movements. Change might occur, even if the market is susceptible to sudden reactions, hints and clues are formed before certain moves. For approaching advance a technician will look at periods of accumulation as evidence and for period of distribution he will look at approaching decline. When analysing the price of a security many technicians use open, high, low and close. There is information taken from each part of information. By taking them together, the open, high, low and close contemplates the forces of supply and demand. The illustrated example above shows a stock that started with a gap up. The price was raised to attract more sellers before the opening since the number of buy orders exceeded the number of sell orders. Rapid demand was seen. The strength of the demand was reflected by intraday high, meanwhile the intraday low represented the availability of supply. The final price agreed by the buyers and sellers was represented by the close. In the graph the close is below the high and closer to the low. This indicated that the supply eventually rose and forced the price back down even if the demand was strong during the day. The close remained below the open after the selling pressure. The battle between supply and demand can be unfolded by looking at price action over a long period of time. In simple words lower prices demonstrate increased supply and the higher prices reflected increased demands. We can identify support and resistance levels by simple chart analysis. They are marked during the length of congestion (trading range) where prices flow with a fixed pace for a long period, implying that the forces of supply and demand are sealed. As the prices move out of the trading range, it shows that either supply or demand has started to get the upper hand. The demand is winning when the prices move above the upper band of the trading range; if the price is below the lower band then the supply is winning. With the help of technical analysis one can easily time a proper entry point. 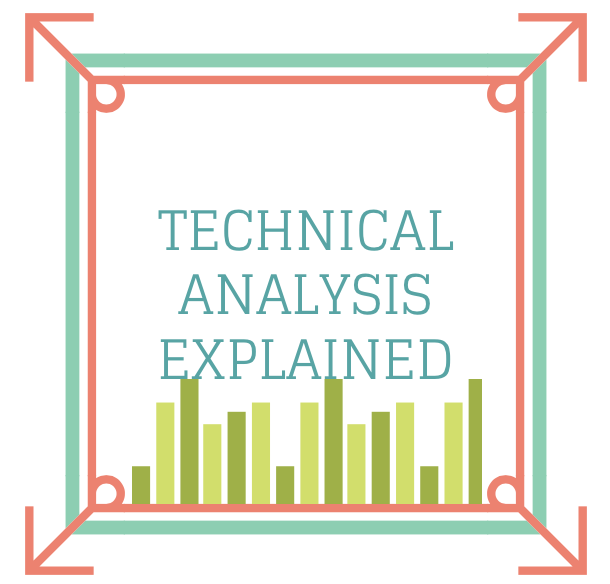 Fundamental analysis are used to decide what to buy meanwhile technical analysis are used to decide when to buy. Timing indeed plays a major role in performance. With the help of technical analysis one can spot demand (support) and supply (resistance) levels as well as breakouts. By waiting for a breakout above resistance or buying near support levels can improve returns. Also one should know about the stock’s price history. If a stock you thought was great for the past 2 years has traded flat for those two years, it certainly does not mean Wall Street will agree to your opinion. If the stock has already been developed significantly, it may be wise to wait for a pullback. If the stock is trending lower it might pay to wait for buying interest and a trend reversal. Like fundamental analysis, technical analysis is more clear-cut and our personal opinions can be observed in the analysis. Beware of these opinions when analyzing a chart. If the analyst is an abiding bull, then the bullish bias will impact the analysis. Even if the analyst is a dissatisfied eternal bear, then the analyst will have a hinge of his personality. Technical analysis is open to elucidation. Even if there are standards, most of the times two technicians look at the exact chart and observe two different cases and view different points. Both will form a logical support and resistance level as well as key breaks to defend their positions. Even if this is frustrating, technical analysis is more like art than since, somewhat like economics. Are you a pessimist or an optimist? Everything depends on the spectator. When the trend is identified, a portion of the move has already been occurred. The reward to risk ratio is not good after such a large move has taken place. Due to this technical analysis is censured for being too late and is a condemnation to Dow Theory. Another important level close at hand is that the technicians are blamed for sitting on a fence and never taking an inexperienced stance. Even if they are bullish, there is always an indicator that qualifies their opinion. One should know that not all technical signals and patterns work. While studying analysis you will come across a collection of patterns with rules to match. A sell signal is usually given when the neckline of a head and shoulder pattern is disturbed. Even if this is a rule it isn’t reliable and can affect other factors like volume and momentum. Also what works for one particular stock may not work for another. An average of 50-day moving may work great to recognise support and resistance for IBM but an average of 70-day moving may work better for HP. Each security will have its own trait even if the principles of technical analysis are universal. As mentioned earlier technical analysis is more of an art than science, it is a subject to understand. It is ductile in its approach and each investor should choose only which depends on their style. Yes there are some universal principles and rules but by developing a style with effort and dedication the reward is significant.